City Auto Center is a family owned and operated full service BMW garage, with Master ASE Certified Technicians and Licensed Mechanics to service your vehicle. We offer quality and affordable BMW diagnosis and repair, and we stand behind our word and our work. We accept most after-market extended warranties. What more can you ask for? Being fully equipped with state of the art technology allows us to service your vehicle as economically and efficiently as possible. If you are looking for a mechanic you can TRUST, then you have stopped at the right location. Stop by our garage today. Simply awesome. Accurate diagnosis. Great job. Reasonable price. Friendly service. City Auto Center actually cares. Can't ask for more. Tony is knowledgeable and knows cars. Helpful and willing to accommodate your requests. Best repair shop. They guarantee their work too. Very impressed with the service i received from City Auto Center. I took my 2006 750 Li for a transmission problem, and Tony diagnosed the problem and reprogrammed my transmission computer and its been working like nothing was wrong and other shop quoted me complete transmission rebuild and he charged me only a fraction of the cost what the other reputable shop quoted me. I recommend City Auto Center to all my friends and family. I just had body work done here and they did a great job. Deep was a pleasure to work with and understood my needs. The car was ready early and never looked better. I highly recommend this place for all your BMW needs. City Auto does top notch work on my car. They are very reasonable in terms of estimates along with how long it took for the repairs to be done. Tony and the rest of the crew are kind and honest. I recommend their shop to any BMW owner. I've been bringing my X3 to Tony and his crew for the last 7-8 years and have been completely satisfied and recommend them to anyone looking for quality work on a BMW or any make of car. We go to City for all our repair needs (my husband drives a Honda). As my car hits 150K and 13 years old - their attention and ability to separate the must do's from the 'meh - not so important' has made this car one I trust will keep going for another few years as well as one I can say hasn't been a complete headache and money pit to own. They aren't trying to gauge you - just keep your business by being fair and honest - and they have. Tony and his guys are top notch. They are honest, responsive and hard working. I am lucky to have found them otherwise the cost to own a luxury car would truly be cost prohibitive. Do not take your car to the dealers! Tony always keeps the customer in mind and recommends repairs as need be. He also informs you of upcoming service needs so you can plan for it. I recommend Tony expand his shop at a new location and add some loaners for convenience. Then he can really drive the dealers out of business!!! I'm very happy with their service, I just trust my car with them,they are the best. I've been a satisfied customer of City Auto for over 5 years; the service is top notch, the prices are very reasonable and Tony and his team are some of the nicest guys you ever want to meet! Tony and his staff are some of the best around. They've been taking care of my 330i since I bought it over 5 years ago and they haven't missed a step, both in their repair skill and service quality. Tony is a top notch mechanic and very knowledgeable, he can quickly pinpoint a car's problem from described symptoms. His rates are reasonable and most importantly, he's someone you can trust your car to. Highly recommended. Tony and his guys have been servicing my car for 5 years. They are all extremely knowledgeable about cars (especially European cars, they have multiple certifications all over the wall), they always treat me (and my car) with the utmost respect, they always use OEM parts and they are always fair with their pricing. I brought my car in one day for some routine service and was extremely impressed with the service I received. When I returned for something else a second time, Tony recognized me and greeted me by my first name and even remember what kind of car I had. This blew me away. When was the last time a mechanic remembered your name and your car after meeting you only once? They are open long hours to accommodate people and they are always able to fit me in. I don't even need an appointment, they just fit me in somehow. And it's not because they don't have any cars to work on because everytime I go in there are always cars parked in the bays and people are always in the office (which has free wifi, satellite TV and magazines). I've seen expensive cars from BMW, Mercedes, Porsche and I think I saw a (new) Lamborghini once. If people with expensive cars trust this shop then that's a great indication of how stellar the team is. Tony himself owns an e46 M3 so you know he's serious about cars. Another thing to note is that they have allowed me to purchase parts on my own to save money (getbmwparts is an excellent place to order OEM BMW parts), ship it to them and then bring the car in for them to do the service. For example, I have busted many tires and they allowed me to order the tire from tire rack and ship it to them because the shops price would be more based on where they have to order it from. They have also allowed me to do this with a brake sensor. I refer this shop to as many people as I can. I've referred my dad, two friends and a few people from work. Each and every person I refer is completely satisfied with the service. I live in Jackson and I happily make the trip to Hightstown because I don't trust any other shop with my car. Tony and the City Auto staff have been servicing my 2003 bmw z4 for over a year now. I can't say enough about how great their service is. They take the time to talk to you about what is wrong with your car. You get a personal phone call after the car is diagnosed with an accurate estimate of the cost of the repairs and the repairs are always done correctly within hours of the phone call. Straying a bit from the BMW repairs, I run a DJ business and Tony and his staff have also fixed the van I used for my events. There have been times when they knew I had events to get to and time was of the essence, each time, my truck was repaired and returned with time to spare. I had the aforementioned van since 1997,or 18 years, things were starting to happen. I consulted Tony and he advised me to start looking for a replacement. Once I found a new/used van, I took it to city auto for assessment. Tony and the staff looked it over and did not charge me for their time. In this day, it is hard to find businesses that are honest, knowledgeable, and dependable, CITY AUTO fits into all of those categories. I have one regret, that I did not find them sooner. The guys at City Auto Center are Honest, Dependable and Knowledgeable. It was a totally non stressful experience. I recently brought my BMW to City Auto Center for a "check-up". I have used them in the past, and have been extremely satisfied with their work and with their interactions with me. Last year they installed a rebuilt transmission that saved me about $9,000 from what the dealer wanted to sell me. They did an excellent job then; I have had no issues in that area. My most recent visit found them charging me a very nominal fee to check out my car, which they refunded when I purchased tires that were put on in a separate visit. I have found that these mechanics are honest, considerate, and easy to work with. I would highly recommend them to anyone looking for service other than at a dealer. This is probably one the very best BMW Service you will find. The quality of repair will put any BMW Service Center to Shame. Here is my Story. I had smoke coming out of the right side of my Engine as I was pulling into my driveway. It turned out to be Oil Leak Leak due to mal functioning of Eccentric Shaft Sensor in the Valve system. The dealer told me it will take about $1800 to fix. Plus in addition they wanted $1200 to fix my rear shocks that were leaking. In addition they tried to sell things like Wheel Alignment and Breaks that were not even due (I had about 4.5 mm left). In addition they said they will charge $200 for Computer Fault Code resets. $95 for Wiper Blade insert. Total of about $4000 + Tax. I towed the car straight to Tony at City Auto Center. After a thorough evaluation including a small test drive of the car - He did the Valve Job and Shocks for $1550. He said the breaks are not necessary to be replaced at this time and also same with the Wheel Alignment. He also gave the Wiper Blades included as a part of the job. The car runs beautifully. Work was done within a day. I have been going to City Auto for several years now and cannot express the good quality of work and the great customer service. I came to City Auto from another shop, which robbed me blind and gave poor service. My friend recommend Tony & City Auto and due to the quality of work I have recommended them to several of my friends as well (whom are extremely satisfied as well). Outstanding, affordable and quick service! Will never enter the BMW service center again! Fixed oil leak that BMW just couldn't fix. Will be going back here when the time comes! Reliable, good prices, and courteous. I have used City Auto Heightstown for many years for more than one BMW and Subaru. It was because of the excellent reviews that I decided to try someone other than my BMW dealership. I have been using City Auto Center for over a year to service my car, and each time I am impressed with Tony's professional approach to all of the customers. Thank you to Uppy, who went above and beyond the call of duty on my last visit to help me. You will not be disappointed at City Auto. I went to city auto to repair some oil leaks in my 2002 525 I that I had just purchased, my experience there was great and the work done exactly as it was said to me, tony is an honest guy and he was straight forward from the first time we spoke on the phone. They even found something else that needed to be repaired and I did that as well. Stay AWAY from bmw of freehold as they charge you 3 times as much for the same repairs probably because they provide you with bagels in the morning. I never wrote one of these reviews but city auto deserved this. I have spent thousands of dollars with multiple authorized BMW dealers, and was never satisfied with either the quality of service or with overpriced and unnecessary repairs. Then, we met Tony of City Auto repair, Tony is one of the most qualified BMW repair specialist as well as one of the most honest man I have ever met. I highly recommend Tony to anyone with utmost confidence. Took my car in for an oil change and a month later for a brake fluid flush. Both services were performed in a timely manner (about an hour while I was waiting, I called to arrange an appointment beforehand) and a cost much more realistic than a dealer. Tony is a professional & honest repair man. I couldn't be more happy with his prices, honesty , knowledge and quality of his repairs to my car. I will only be bringing my car to him for repairs . Forget the dealers they will charge you thousands more and find an array of different "recommended" repairs! So happy to find City Auto! Truly a rare find! I took my BMW X5 to a dealership to check out the various warning lamps that were lighting up on the instrument panel as I drove the vehicle and the clicking sound when I turned the engine off. After waiting for two hours the dealership provided me with a detail analysis of the recommended services required with a quote of $6,000. I immediately left their establishment after paying a $160 diagnostic charge. 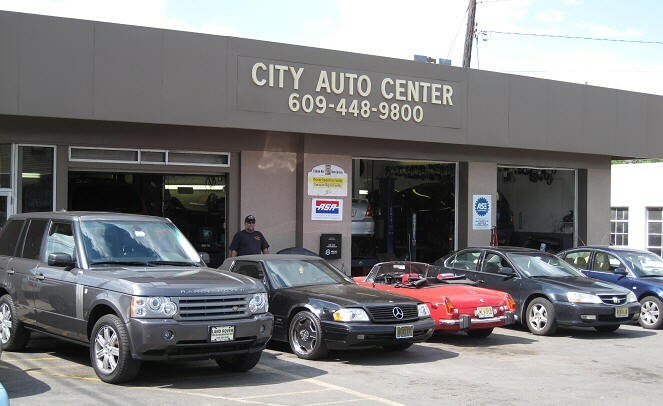 I decided to look on the internet for a BMW automotive repair specialist and found “City Auto Center” in Hightstown, NJ. After reading their reviews I decided to call them. I spoke with a representative explained my issues and he setup an appointment first thing the next morning. Once I arrived Tony Singh displayed true professionalism he asked if I was the customer who called yesterday about the X5, he performed a diagnosis of my vehicle, explained to me what caused the problem, and showed me the defective part that needed to be replaced. The total amount to repair my vehicle was $400 this was a $5,600 price reduction from the dealership. I informed Tony that he operates a first class automotive repair center, provides excellent service at a reasonable price, and can expect repeat business from me in the future. In our drive from Boston to Texas, my vehicle began releasing a white smoke from the exhaust. As were leaving a friend's home in Princeton to head back on the road, my check engine light and oil light came on. Let me say preface that 30 days before the trip I took my vehicle to for a full check up since we had this trip planned and we kept hearing a weird noise. The Boston mechanic charged us $1700 for belts/pulleys/front arms and fixing a coolant issue. We looked up mechanics on Bimmerfest for recommendations. We called as they opened up and the gentleman said to bring our car in. They knew we were headed to Texas. I was concerned that we may get "screwed". However, Tony looked into the issue and gave us an estimate. They called around looking for the part. We were also worried that we're going to lose a whole day since they closed at 1 pm. So when I called at 12:45 to check the status, I was told that they would stay open late to fix the issue since they knew we needed to get on the road. We picked up our car at 3 pm. Tony showed us all the parts that they replaced. He even fixed the noise that the Boston place failed to fix the first time. We made to Texas with no issue. My car has not ran. Thank you for all your help. My friends in Princeton will be visiting you all soon since they were impressed with the service we received. My 545i was repaired expertly, on time, and the cost was very reasonable. Tony knows bmw's in and out and he went out of his way to explain the details of what my cars problems were and the estimated cost. I am now a permanent satisfied,customer. After repeatedly getting screwed by the dealership(s)...I found Tony on the internet reviews and decided to give him a call. He told me to bring my X5 on over to his shop and he would take care of it. Jaded by past experiences I was very apprehensive about trusting anyone at the very least a guy named Tony. While waiting and figeting in the waiting room..I ask the guy siting next to about his experience with Tony. Without hesitation he said; "Tony is GREAT and he work on all my cars (Bimmers). The guy apparently has BMW race cars I later found. During our conversation about 8 or 9 people over heard us talking and began to voice their overwhelming satisfaction of their service experience with Tony and his team. That was 2 years ago and Im still a satisfied customer. I mean Tony takes every job I've given him with both my cars PERSONALLY and my cars has been noticeably better as a result. ie. Tony on occasion has fixed other problems he noticed while working on my car(s) and has refused to let me pay him for it. So far I have never had to take my car back to Tony for the same problem as I have with BMW service. Tony is very knowledgable about his craft and my car,he has made it very easy and resonable for me to own a european vehicle through such knowledge. I know at this point some may think this review is personal. Well....it is and he has been as GREAT as I was told 2 years ago. Hence,I have never in my 53 years written a review for anyone....This one I am eternally happy to. Keep up the good work my friend! Tony is the absolute best, most honest and most professional person I have come across in the repair business! I took a chance and took my pride and joy 325Ci to him about a year ago based on the reviews that I saw here. At the time i had an issue with my cooling system and I feared the worst having dealt with stealerships and seedy repair shops. The cooling system fail ended up being a minor repair (under $100), so I took the opportunity to have him do a complete check on the car which uncovered the need for rear brakes. He completely replaced the entire rear brakes at a very reasonable cost as I recall. 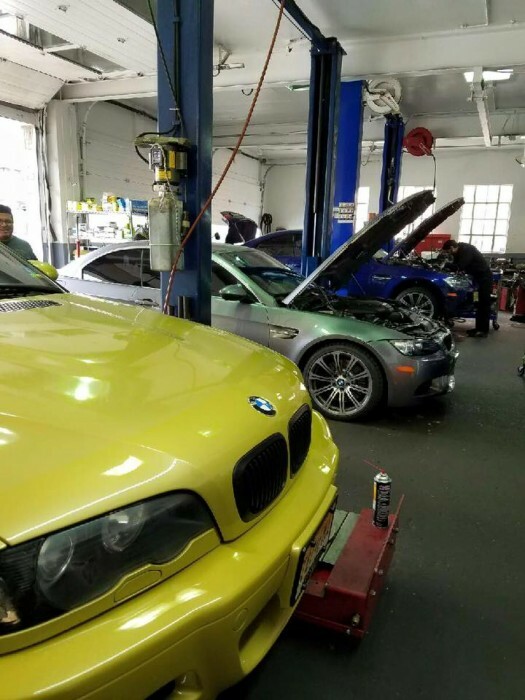 When I picked up my car, I was very happy to see that Tony and his techs are BMW certified mechanics AND Tony himself has an M3 in Phoenix Yellow! This man not only knows BMW but he is a fellow enthusiast! I dropped my baby off again this past Sunday evening since I needed to get the front brakes STAT. By 3 PM Monday my car was available, good as new. I will NEVER take my Bimmer to anyone else – despite the fact that I have to drive around 20 miles to get to him. I plan on getting myself an M in the not so distant future and the only place I will take it will be to Tony. There is one thing you can be sure of: you will get top of the line service at extremely reasonable prices. Tony is the best, Always professional, punctual and honest. This makes him a rare commodity in this business. I have brought my X5 many times to him and he does the work great and much and much lower than BMW service. He is just top notch, I will trust him with every BMW I own and I buy in the future. I have been going to the dealership for years, paying a premium to get my car fixed- because many area auto shops just do not do a quality job. Having now exceeded 130K miles, I was ready to sell my car cause of all of the expensive fixes when I discovered City Auto. They really know what they're doing and do it for a reasonable price! I have called in last minute for fixes, and they've taken my car in the same day and have fixed it the same day- always making sure to call me first to let me know what the problem is and how much it costs before moving forward. Tony and the entire staff exercise professionalism and highest customer service. I have been recommending City Auto to all of my friends and family- and found that others who have used them already raved about them. This place is a gem! If you care about your car and your wallet- go to City Auto! I am active duty military...and I travel a lot. When relocating, finding good a business is challenging. I am glad that I ran into this site and seen all of the positive reviews for City Auto. Tony took good care of my BMW Z4. He replaced my front brakes, my hydraulic pump (for my convertible), and did an oil change for 2x less than the dealer...and not just because my name is also Tony. I like businesses that take care of the customer and treat you like family. He even gave me a loaner for the weekend and saved me on a rental. Keep up the good work Tony and get that facebook page! I own, since new, a 1987 BMW 635 CSI and over the years my baby has always been a challenge to keep it in top form but a couple of years ago it started stalling for no apparent reason. I took it to BMW and two separate BMW specialists in the NYC area who made many and different expensive repairs but were unable to make a permanent fix. It got so I was afraid to drive the car because of the real fear it would break down without any warning. I finally decided I would make one last attempt to get it fixed and read on this website all the recommendations about City Auto Center. If they couldn't fix it I was going to selling it. I am extremely pleased to say they were quickly able to diagnose the problem as a bad engine computer (I didn't even know the car had one) and replaced it. The car has been terrific since it was repaired 8 months ago and for the first time in a long time I have confidence again in my BMW mechanic. While it is a distance from NYC I'm still bringing my car to Tony because I do love this car. Tony has helped me twice now with my X5. He is experienced with BMWs, responsive, professional and gets the work done quickly and at a very fair price compared to the dealers. During the last visit, my engine went into fail-safe mode and Tony quickly diagnosed the problem and fixed it the following day. Tony is now my new mechanic for my X5!!. We are so glad we finally decided to go see tony for our bmw. he works quickly and gets the job done right. he has been very fair and honest and has at times gone beyond what he needed to. we only regret not finding him earlier since we have always gone to our dealer for repairs and will not go back to them again. don't hesitate, call him today! All i can say is ive been bringing my 2004 Bmw to Tony since 2009 and he has been excellent.All you want in a mechanic is to just fix your car.Be honest and fair.Tony is both.I can say i trust my mechanic to fix it the 1st time and that is all u can ask for.Top of the line! TRUST IS THE KEY.and he got mine. Tony and his entire staff do outstanding work, there a certified and experienced independent shop with knowledge across all BMW models. City Auto has performed routine maintenance and repairs on my 2001 740i & 2008 328xi. Forget dealerships for maintenance & out of warranty repairs, City Auto has the expertise and provides quick turn-around at reasonable cost. I was looking for value, honesty & personal service and City Auto is the place. The dealer service experience is way over-rated, I'll buy my own coffee & bagels. Just picked up my E36 M3, from Tony. So much better than dealer service. He knows what he's doing and explains it to you as well. Great experience! II've been taking my 2003 BMW 325i to Tony for over two years now. He's an "honest" mechanic, which in itself is a rarity. His diagnoses / prices are very reasonable, often less than half of that quoted by the dealers, and he genuinely appears to care, take pride in his work. He always returns phone calls / messages, makes time to speak with you and explain the problems in detail. His shop is always busy, which is a good sign. I'm from the UK and he's what we call a "diamond geezer." Keep up the good work Tony! Without question Tony and his team are the best in the auto repair business relative to BMW's. I own a 7 series and I have been taking my car to the dealer for years because frankly, I did not think there was anyone else out there who was qualified to work on this type of car...after my experience with City Auto I will never go to the dealer again. The work is as good or better than the dealer and Tony explains exactly what is wrong with your car. I found Tony to be extremely honest and a pleasure to work with. As everyone else has mentioned the cost is significantly less than taking the car to the dealer. Going forward I will not consider taking my car anywhere else. Tony THANKS!! Tony the Service Mgr was great to work with. I was looking for a 2nd opinion after going to the local BMW dealership in Freehold. While they did confirm I needed a new radiator, City Auto Center replaced it for $300 less than the dealership.They gave me a detailed bill with all the work clearly stated and the price. They just won me over as a customer. Thanks Tony and Gagan. On a rainy Sunday afternoon, I went outside and attempted to start my car (BMW 525I) and it refused. Not wanting to take it to the dealer and pay absorbitant prices, I began looking for reputable BMW mechanics and stumbled upon City Auto Center. After reading the numerous praises, I called and spoke with Tony and decided to have my car towed there. My car not only needed a new starter, but a lot more. Tony repaired EVERYTHING wrong with the car and removed all warning signals for approx $1800 whilst the dealer would have charged about $3800. Tony is knowledgable and most importantly honest!!!! I would recommend him any day!! He will forvever be my mechanic and will now service my husband's Mercedes. As a new customer I recently took my 2005 525i BMW for front brakes (this shop uses OEM parts) and steering wheel replacement (mine was very worn, I brought in my own part). Tony completed both jobs well done. Steering wheel function keys and lights were hooked up fine and steering wheel perfectly centered. Brakes are fine as well. I also would like to mention that the staff at City Auto Center will talk to you about your car and pricing with ease and accommodate you as needed. I have additional maintenance work needed to be performed on my car and will do so at City Auto Center, so far so good. Thank you Tony and Opie! I have a 2005 BMW 530i. I always take my car to city auto for any and every repair and maintenance. Had brake job done in Feb, saved me a lotta money over what the bmw dealer asked. I always get my Oil Changes here. Tony is very knowledgeable & honest. My expectations have always been met & exceeded. Thanks Tony & CityAuto for your service. In this tough economy with zero interest for my savings. Two weeks ago, I bought a 2003 M3 (a Florida car) with 78000 miles, tough sharp--but the engine and body is solid. 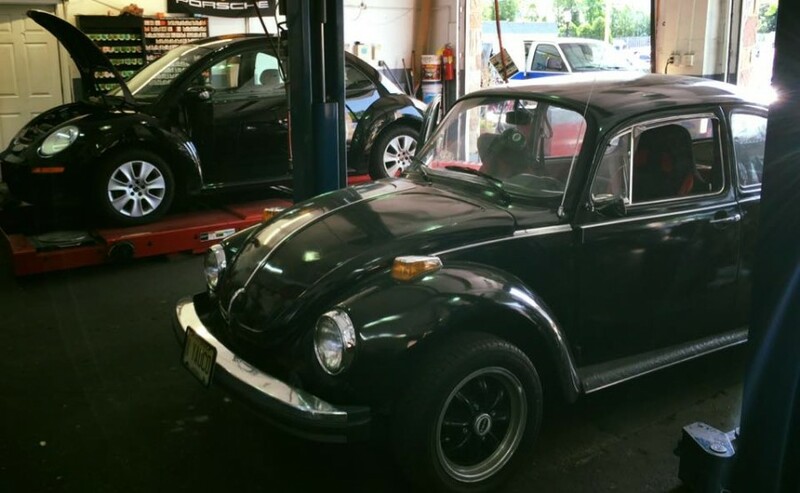 Tony inspected the vehicle carefully, and proceed with "catch-up" maintenance and upgrades of stainless brake lines, new tires, alignment, filters, belts and spark plug changes. Tony noticed leaking overflow oil valve and water pump leakage problems. City Auto Service's repair cost is most competitive in my experience for 30 years of foreign car service and repair. Upon completion of all work, the best surprise is that my M3 drives like "new"! Cleaned-out engine compartment, old worn parts returned. All minor problems solved--oil valve leak, low freon/AC valve leak, missing panels replaced, smooth belt and water pump actions. Now my investment alternative-- M3 has perfect engine response, improved steering control and confident ride. Bravo! Thank you to Tony and your family of expert mechanics--keep up the good work! We highly recommend Tony and his repair shop! All the staff is very nice and Tony is very honest with the repairs that need to be done and does not try to sell you something that is not needed. We just recently discovered this repair shop and are very happy with all the service that has been done. We even got a loaner car for the day. Highly recommended if you are looking for great service and reasonable prices, not like any of the BMW dealerships that try to take all of your money. I recently purchased a 1995 M3 from out of state and took it to City Auto center for some work I wanted done and for NJ inspection. I found Tony to be honest, intelligent, communicative and fairly priced. He knows how to diagnose a problem, and he and his guys know how to fix them. I would highly recommend Tony and City Auto Center to anyone looking for excellent BMW service. City Auto Center has taken care of my cars since 2001 and I trust their judgment and appreciate the time they take to explain the work they recommend. Tony will tell me everything his techs found and help prioritize the repairs so I can group related repairs together. No sales pressure, just honest information and advise. I recommend City Auto to every BMW Owner. At first, I was a bit hesitant to take my 7 series for repair anywhere but the BMW dealership. However, after getting exorbitant estimates, I decided to look into City Auto. After talking to Tony over the phone, I knew I could trust him with my car. Tony is very professional, knowledgeable and courteous. He is efficient and timely. I highly recommend Tony at City Auto in Hightstown. I have been servicing my 2003 BMW 325i at City Auto for a few years now and am completely satisfied with their comittment to the customer. Tony is very technical as a mechanic and just a great guy as well. I recommend City Auto to anyone who has had it with sub par service. Tony and his team are the most helpful technicians and mechanics around. My E46 325xi would not start and I brought the car down on a saturday and they helped me right away. These guys are something special, you will regret not taking your BMW down there. These guys are courteous and extremely helpful. Just had my 2001 BMW 330CI front control arms replaced by Tony and his crew. The cost was reasonable and the job was completed in a day. They even offered a loaner so I can get to work. I would definitely visit them again for future repair. My elderly BMW 735i developed a transmission leak which my usual mechanic was hesitant to deal with. I took the car to Tony and he found and repaired not one but three leaks - one of them subtle. The work was done quickly and at a reasonable price. After discussing some other technical issues with Tony, I left with the impression that he is both knowledgeable and honest. The next time there's a problem the car is going straight to City Auto. Took my 2001 325xi to Tony and his crew this past weekend and they took care of me to the fullest. Their service was great, especially on a Saturday. They took care of my suspension problem and even took at look at my electrics for me free of charge. This is my first BMW and won't be my last and I can assure you that the only people that will take care of my cars will be City Auto. They are honest, efficient and a quality repair shop. Take your Bimmer only to then. P.S. if you are going to be there for a lengthy repair and have no other means of transportation bring a book or a laptop to keep you busy. I usually do not write reviews but for this shop i'm doing it in case other bimmer fanatics live in the area and are pondering on which shop to go to. First, to add authenticity to this review, let me say that I'm a bimmerforums member (zink) since a long time and i back this review here and there in case anyone is ineterested. Tony is a great mechanic both expert in bimmers and very HONEST and believe me i have dealt with many mechanics and that's a trait worth gold in my opinion. I would trust him with any bimmer (or any other car as a matter of fact). i have owned a couple of 3 series (e36 and e46) and currently an e38 740i. I've known Tony back when i had my e36 328i sport package in 2005. For two years, he was the only guy i would trust to work on the car: i did a lot of maintenance/repairs/diagnostics and upgrades (bilstein suspension) and many many times i would stop for the lightest noise in the car to check and Tony would always know what's wrong .What he charged was very reasonable with a lot of times not charging for small fixes and putting the car on the lift (really if you are a bimmer fanatic you would know how many times you would want to put the car on a lift to check it even if it doesn't need to!). Couple of years ago I left for CA and just returned two weeks ago. i drove my e38 from CA to NJ and the third day after my arrival i went to Tony to see how he's doing and check on the car after the long ride. i was happily surprised that the shop has expanded to the adjacent gas station lot (they have 6 lifts now in addition to all the outside space meaning quicker service) and second (not so surprisingly!) he was busy as ever with lots of german cars including some new bimmer models in the shop but he accomodated me next day early morning. I ended up with an oil change (Lubro Moly Syn) , AC vaccum and recharge, and complete coolant flush (from engine block). I also had a weird knock/noise from the left rear when accelerating or pulling from park which he quickly determined to be a missing nut from a rear bushing (yes missing!! guess from the long drive under the extra weight and the fact that the last mechanic in CA left it loose! so see what i mean about good honest mechanics?!! ).I'll back in a couple of weeks for regular maintenance (spark plugs, hose replacement,...) I really recommend Tony and his shop to anyone looking for one in the area for the price and quality of service. Tony and his team made the stressfull experience of bmw repair palatable. The customer service was outstanding, I was made to feel live a valued client. Tony explained every repair required and gave an estimate of its cost and completion. I was very happy with the service and will definitely use and recommend them to others.. I have been a customer of City Auto Center for the past 4 years. I have never found any service center as knowledgeable, or honest as these guys..! I have always been very particular about who services my car. I am confident that the work is done properly with correct parts and at at price that is extremely reasonable. It is not often that you can go into a shop ,actually speak to an owner(Tony), and know that you are getting truthful, accurate information about the service to be done on your car. It's worth a trip in to see them...! Tony is a great and efficient mechanic. He did all of my brake work on my '91 BMW 850i. Will not hesitate to go back and get some other work that I need done. Focused on customer service and making sure your car is 100%. I took my 2002 BMW 525i to City Auto Center today and was impressed with the honesty and excellent price. I use to take my car to the dealer for repair but always had to wait a long time for them to repair my vehicle. They repaired by Navigation system and it was half the price of the dealer. I recommend anyone with a BMW to visit the location and see for themselves. FYI they have expanded and now have 7 bays and can perform inspections, alignments and exhausts. 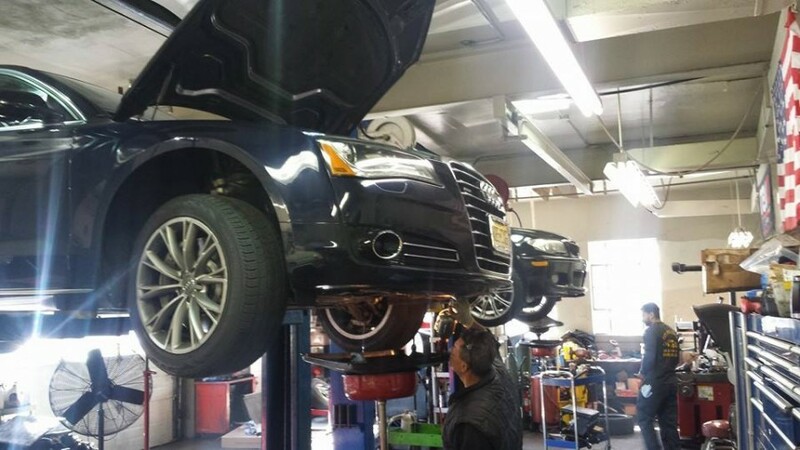 I recently serviced my car with City Auto and enjoyed my experience. Tony was honest and fair. After analyzing my '03 X5 he took me to the car and showed me the repairs that my car needed. This was the first time anyone took the time to show me, a female, under the hood. His team was able to salvage a needed part saving me money. I refer City Auto to everyone. These guys saved my car. Tony, especially, knows BMWs, better than anyone else I spoke to. My '98 528i with 100k started going into 'limp home' mode from time to time, sometimes at start-up and sometimes while driving. Sometimes the yellow gear-shaped indicator lamp would go on and sometimes it wouldn't. Also, sometimes after strong rains I had a problem of only being able to drive in 'sport' mode because the transmission wouldn't shift out of 1st or 2nd gear. My regular mechanic, whom I trust, ran the diagnostics and told me he thought it was the transmission and recommended I not put the money into the car (at least he didn't charge me for the evaluation). Then I took it to the dealer, where the mechanic said he'd never heard of these symptoms before but that it sounded like the transmission, which would cost $5-6K to fix. He offered to run the diagnostics again for $150, which I declined. I found this site and went to City Auto, where Tony correctly diagnosed the problem as a failed part costing $300. The car now runs perfectly (and as a bonus my remote key works again, too, because he cleaned all the modules). These guys are honest AND knowledgable-- thank you City Auto! After my dealership warranty ran out I was looking for a reliable repair shop. So I checked Bimmershops.com and found City Auto Center. Its about 20 mins drive from where I live. The man to see is Tony. With two major repairs needed on my 2003 530I, Tony explained to me what was needed and had it done in less than two days. And the price was a lot less than what the dealership was charging. I found Tony and City Auto Center to fast, effecient with very good rates. And even when a certain warranty company tried to low ball me on their coverage, Tony looked out for me...that was great. So I just took my wife's car there too. I highly recommend City Auto Center. Down to earth crew and they do not BS you. These gusys are 5 STAR in my book. Not only did they diagnose and fix the issue with my BMW in a very short time. The service was great and i ended up paying a lot less than what other shops had quoted me. I was given a total run down on what the problem was with my car and when my dad came back with me to pick up the car, he was very impressed by how honest and well priced these guys were. I will definitely go back to them any day. They have definitely put aside the stereotype i had of mechanic shops. Great Job guys !!! After being continously overcharged by the BMW dealership and other mechanic shops in Princeton, i decided to follow my friends advise and bring my BMW X5 to City Auto Center for a timing belt change, Which was necessary as i have crossed the dreaded 100k miles. I dealt with their technician Tony and after having put the truck on their "lift" he pinpointed several other issues with the vehicle, which were supposedly "fixed" by the BMW technicians. I can honestly say that these guys are the real deal and have put my faith back in mechanics after dealing with them. I plan on making this my first and only stop for my family's vehicle needs. And do recommend others to do so awell. Kudos to Tony and his techs ! I cannot say enough about City Auto and its staff. Especially their lead tech. Tony. I have brought my 1998 BMW 318 for regular service to him several times and he has always gone above and beyond when it comes to my car. But what stands out from this shop from other is their personal service. Two weeks ago, while coming back from my job in Philly , my car broke down on the NJ turnpike. I called Tony and within half hour he came with his Tow truck and brought the car back to his shop. Since this is an older BMW , Tony went over the issue with me in extensive detail and put my worries to bed when he found out that the issue was minor. I HIGHLY recommend these guys and their honest service. This is the only BMW repair shop in Hightstown and I have to say that it is the best one. My BMW M5 engine broke down on my way to work, and a tow truck came to me in 20 minutes. I was so thankful to City Auto Center because the other repair shops take 45 minutes. Tony was able to reserve a car for me from enterprise, and the prices were extremely low. They treated me very nicely and I will always remember Tony. Tony is reliable and I trust him a lot. City Auto is always there for you. I also visited City Auto Body on Route 130, and that place is good too. I also like the one on Klockner Road in Hamilton because they are all tied together in one company. They also have just bought the gas station right next to them. I wil always remember Tony. I love this place because they were nice and the prices were probably the best that I could find in Hightstown. Tony is very reliable and I knew that I could trust him with my car. I had a broken fender, and it was fixed in just a couple of days. All I have to say is just remember Tony and the rest of the team. They have just bought the gas station next door and they have 2 other shops; one in East Windsor and one in Hamilton. I have to say that out of all of the car repairing places, this is the best one. I brought my BMW to city auto after receiving an astronomical quote from the dealership for repairs. Tony was professional and prompt with his inspection and quote and made the repairs for a fraction of the price. Thanks Tony! Confirmed that vibration is resolved at high speed, washer leaked stopped, and steering wheel no longer squeaks! Stopped by last week to get quotes on various of services on BMW E90 330xi 76k miles, I had the K&N air filter with me and Tony had a mechanic put in for no charge. Tony was knowledgeable and courteous plus quotes were reasonable so I scheduled these maintenance today: Inspection II, engine coolant replacement, oil/filter change, brake fluid flush, tire balance. He also fixed a squeaky steering wheel and a leaking washer fluid through the right spray nozzle. In the coming week I will know if the tire vibration is resolved at high speed or if the washer leak stopped, but driving home the squeaky steering wheel is fixed. The bill was as quoted (or better). I plan to bring my car for spark plug replacement next year and do my future tire mounts there with Tire Rack drop ship. My M3 broke down last month and i was so much down that after shelling out so much money it did nt work i expected . i took to the car to one of the repair shop on Route 130 but he gave me much more estimate than i would have dreamed. then my friend recommended me to city auto in Hightstown. i met tony there he is one of the most technically sought out guys i have ever seen in automotive industry. He fixed my car in just few days the price he took for that was also very reasonable.i can recommend him anytime to anybody . so i would say if your car is down remember tony from City Auto Center in Hightstown.